For Edith, life is pretty good. She's been a widow for some years now, but her children live locally and drop by regularly, and she enjoys daily visits from Phil, an old boyfriend who now lives across the road. Phil dreams of marrying Edith, and the pair of them upping sticks and moving abroad to the sunshine. But after months of turning him down, on the happy day Edith finally says "yes", there's a knock on the door - and there on the step, with a large suitcase, is her 50 year old son Roger. He announces that he's left his wife, his kids and his good job at the bank, and come home in an attempt to find his lost happiness again. And in a blink, to Edith's dismay and Phil's fury, all dreams are on hold. 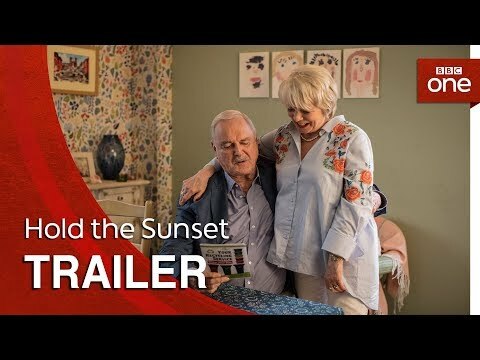 Hold the Sunset Season 1 was released on 427d ago in the UK. Notify me when Hold the Sunset Season 1 is available.